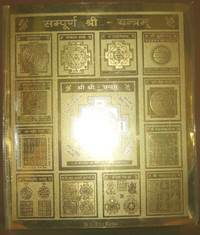 Shree Yantra is one of the most known, auspicious and powerful Yantra, which not only gives the maximum benefit, but also proves beneficial for almost everybody. It is the source of attaining all worldly desires & fulfilling all wishes through inner cosmic power & mental strength. Shree meaning wealth (name of Maa Lakshmi) and Yantra - Meaning "Instrument" - The Instrument for Wealth. It brings about material and spiritual wealth. It has that unexplained power to fulfill all our wishesand change our life for the better. It is definitely the answer to all the problems and negativity in our life . Any Person using it achieves much greater affluence , peace and harmony . It helps in breaking all the Obstacles in our life . It helps us push indefinitely and easily the limits of growth - both spiritually and materialistically. There are negative energies around us in greater or smaller magnitude. These negative energy stands in our way of achieving greater success , affluence , Harmony and Peace. Energized yantra not only empowers the surroundings but also fills the positivity. Many times we find that life is out of our control and we find ourselves in a position of Extreme stress , lack of peace and harmony , high degree of anxiety , friction in relationship with others , Bad investments , faltering business , stagnation in life and profession , decreasing financial prospects , insecure feeling , repeated failures and sheer bad luck - Though we involve our best efforts , hard work , intelligence and good intentions. Its Sacred Geometry - help in clearing all the negative energies - the fog that surrounds our life, standing in our way of Peace , Prosperity and Harmony and make everything work for us in orderly manner . It the Multi Pyramid Geometric Grid is in 2 Dimension or 3 Dimension form . In 2 Dimension Form it is a Symbol of 9 Intertwined Isosceles triangles . It has Intertwined Triangles. The 6 pointed Star or Double Triangle Jewish sacred Geometry has always been proven to be Good. 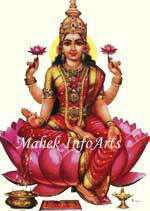 It is the symbolic form of Goddesses Lakshmi. It was possessed by Brahma, the creator of the Universe and praised by Vishnu the lord of the Earth . It is connected deeply with the Ancient Art of Vaastu and has been specifically mentioned in the 'Vaastu Shastra'. All constructions based on Vaastu must essentially have in it. The Vedas explain it as a scientific, cosmic and planetary energy zone. It is the source of supreme energy and is nothing but another form of element in the shape of waves and rays. It is highly sensitive and has magnificent magnetic powers. It is said to be a divine store-house of energy which pick up particular cosmic ray wave emitted by the planets and other universal objects and transform them into constructive vibrations. These are then transmitted to the surroundings where the it is placed, thus destroying all destructive forces within the vicinity. (iii) Meru parisht, which is in the shape of a mountain. 1. Before sunrise at the puja place in your house or in a temple place. 3. Light a lamp wih pure ghee facing east . 4. Recite the Beej mantra for 1008 times. The person with Aries and Scorpio Janam rasis should put the yantra in Ganges water, fresh milk and masoor dal. After taking bath, lighting Dhup and Lamp, recite the mantra and after worshipping Isht Deva and preceptor wear the yantra. For person of Taurus and Libra Rasis put rice in the milk. The person with Gemini and Virgo Rasis, should mix milk with sugar. Leo Rasi persons should mix gram Dal in milk or Kaneer flower and milk be mixed. Pisces Rasi person with Capricorn and Aquaries rasis should put urad dal in milk and wear the yantra with method as explained above. Balance milk put in the root of peepal tree. In the end distribute prasad to children of the sweet of colour which is in consonance of your Rasi. It is credited with supreme hidden powers which can be noticed within a short span. Astroshastra offer this mystical yantra in Gold plated form , Pure silver as well as silver pendant form. "Om Shareeng Hareeng Kaleeng Hareeng Shrimahalakshmiaye Namah"